Getting Started | RB Smith Co., Inc.
Getting started on the path toward living the life you choose is easy at R.B. Smith Co. Simply contact us to schedule a meeting at a time most convenient for you. You’ll meet our advisors and learn firsthand what makes R.B. 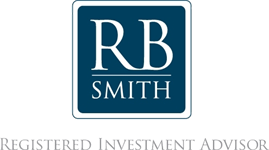 Smith Co. stand out among today’s financial advisory firms. At our initial meeting, we’ll talk about you, your family and your goals and aspirations. We’ll find out as much as we can to enable us to design a strategy that is truly tailored to your needs and fully aligned with your goals.